After eight years, seven seasons and more than fifty Emmy nominations, AMC’s Mad Men has come to a close and I thought I would write a bit about this amazing show, which has had a big and permanent impact on television. I first started watching the show six years ago based solely on the amount of critical acclaim it received. I remember watching the Emmys and seeing this show called Mad Men being nominated for every category, and wondered what the hell that show was about. Unfortunately, being a 15 year old, I was bored to tears with the first two episodes I saw. I wasn’t at all interested in seeing these boring adults going through their mid life crisis while smoking and drinking every minute. Again, I was pretty young and needless to say I quickly gave up interest. It was only two years later (after I had refined my taste in film and television beyond action and fantasy) that I recognised what a brilliant and intriguing show it was. I became captivated by the character of Don Draper, this complicated man who seemed completely disconnected with the world he lived in. As I swiftly progressed through the season, I fell in love with the time period it is set in, the world of advertising that is at the center of the show as well as all the numerous other people in Don’s life. I watched the first four seasons in less than a month, and anticipated the next. In fact, It was Mad Men that showed me that a visual narrative (be it film or television) wasn’t just about big twists and instant gratification, it showed me that if I was able to be patient and soak in the atmosphere and characters, that I would be rewarded. The main attraction of Mad Men is the atmosphere. Every single part of this show oozes 1960s America from the costumes and the set designs all the way to the music. These last seven episodes alone had many great songs like Buddy Holly’s Everyday and David Bowie’s Space Oddity. Even little touches like the constant background noise of typewriters and copious amount of indoor smoking and office drinking left no doubt in your mind that this show is a window into the near past. The fact that Mad Men’s run basically went through the entire 60s and into the early 70s offered viewers a great overview of the various cultural shifts that occurred at that time. The show really did a terrific job showing the evolution of time with simple things such as hairstyle (the men started having much more facial hair the closer we got to the 70s). The show also did an excellent job of tackling the important issues of the time like race, gender inequality, homophobia and counter culture groups such as the hippies. Mad Men also knew how to tackle many of the historic events that took place in that decade from the assassination of John F. Kennedy to the Moon landing (which served as a background to the death of one of the show’s most beloved characters Bert Cooper). As far as the series finale goes… Well let’s start with the very end, and by that I mean the final shot of Don meditating and smiling, followed by the infamous 1971 Coke commercial. Although it’s not made explicitly clear, a lot of people have concluded that this is proof that Don is responsible for creating the commercial and that his wandering journey in the show’s final three episodes was all about getting him to that point. Series creator and show runner Matthew Weiner has come out and confirmed this, which I believe to be a great and fitting ending to the show. After all, some of the greatest scenes on the show involved Don giving awe inspiring pitches to customers. Who could forget his emotional and touching speech at the end of the Season 1 finale entitled “The Wheel” (the scene that still is my favorite moment in all of Mad Men). Don always seemed the most alive and content when he threw himself into his work and so the fact that his story ends with this huge breakthrough is absolutely fitting. I also really like the fact that a show about advertising ended with what is considered to be the most culturally significant commercial of all time. So no, Don did not in fact jump out of his office window to commit suicide as many people have speculated based on the opening credits animation. His story ends with an exclamation point and a question mark. The most shocking thing to me about the finally, is that Don is really the only character who has an overtly ambiguous ending. Every other character was left in some kind of a conclusive state: Peggy will continue a prosperous career in advertising at McCann-Erickson with Stan at her side both professionally and romantically, Joan will run her own film production company, Roger will once again try his hand at marriage and Pete reunited with his wife and daughter, determined to keep his family together while he embarks on his new career with Learjet. Of all these endings, Peggy and Stan’s sudden romance seemed like the most rushed and non organic. There was very little in the past few seasons that insinuated them as anything other than friends and the way they got together (Stan’s confession of love over the phone and subsequent run to Peggy’s office) felt cliché in a way Mad Men has never really felt before. The character who got the worst and most definite ending is Betty, who is somehow the only person amongst the show’s many frequent smokers to get lung cancer. As much as I disliked her character for a good portion of the series (I believe that her presence on the show post divorce was unnecessary), I did feel genuinely sad for her when she received the news. If there’s one character whose ending I was dissatisfied with, it’s Sally’s. The relationship between her and Don is what I consider to be one of the main highlights of the show. No scene broke my heart more then when Sally walked in on her father having an affair. Not to mention the fact that, throughout the show’s eight year run, we have witnessed Sally grow from a little girl, to a mature young woman. I consider any episode that focuses on her to be among the show’s best, which is why her ending disappointed me so much. She basically has to take care of her dying mother and little brothers. It’s a pretty somber conclusion to a character I wished nothing but happiness for. But I guess that’s the sad truth about life, not everyone deserving of a happy ending gets one. I can only hope that a better future awaits her after this ordeal. As series finales go, Mad Men wasn’t exactly one of the best, In fact it was a pretty average episode of the show all things considered, but Mad Men was never about the destination, it was about the journey. It was about seeing these damaged characters desperately try to find happiness in a changing America. Some failed like Betty and Sally, while others got more then they deserve like Pete. I can’t say that I was ever really excited to watch an episode week to week, but when I did watch the show I was completely immersed in the world and felt as though I had gone through a time machine. There’s also no denying the important impact that Mad Men has had on the TV landscape. It was the first scripted drama to air on AMC and paved the way for the network’s other big hits like Breaking Bad, The Walking Dead and Better Call Saul. 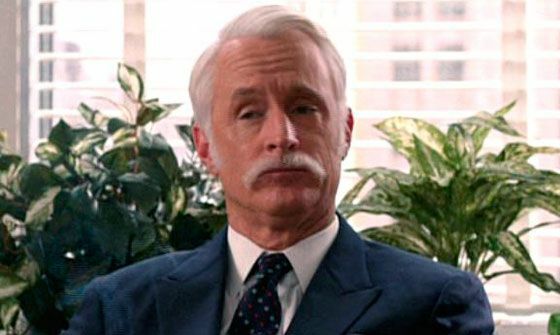 In a way, Mad Men also proved that you didn’t have to be on a premium cable channel like HBO or Showtime to tell a mature and complex televised narrative. So, farewell Don, Peggy, Pete, Roger, Joan, Betty and all the other characters that populated this world, and thank you Matthew Weiner for creating it and them as well. Here is my favorite Mad Men moment, as well as what I consider to be Don’s best pitch. Share the post "A Farewell To Mad Men: The 60s Never Looked So Good"